When we get behind the wheel and start the ignition, we never expect an accident to happen, but accidents can happen out of nowhere. Car accidents can be very dangerous and sometimes cause severe injuries. This fact is why all drivers must follow traffic laws when they are driving as reckless driving can lead to accidents. On June 3, the Worcester Police Department received information about a vehicle accident involving two vehicles. The accident occurred on the 1st block of Salem Square and was reported to emergency personnel around 6 in the evening. First responders arrived at the scene shortly afterwards and found that one individual had been injured in the collision. Medical care was given to this victim at the scene, but the extent of the injuries is still under review. However, no fatalities were reported. Police directed traffic around the scene, and the area was soon cleared. 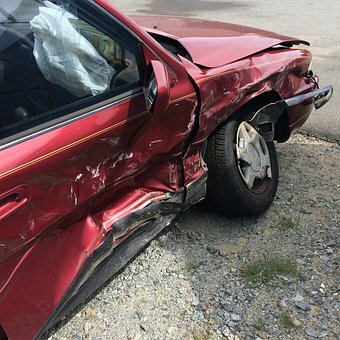 Car accidents can take us off guard and be a devastating event. The impacts of some of these accidents can be catastrophic or even deadly. It is essential for all drivers to remain attentive whenever they are commanding a vehicle. When victims are injured in these accidents, they have aright to seek assistance and compensation so they can heal from their injuries. We at the Law Offices of Jeffrey S. Glassman are names of this community, and we see the negative impacts of car accidents first-hand. We want our roads to be safe, and we urge all drivers to do their part to create roadways that are safe. Sadly, we know that accidents do happen, so we are also here to help victims get the help they need to recover.